Roe Legal Services is a boutique law firm specialising in insolvency, dispute resolution, Indigenous law and property law. We provide a high level of personal service to every client on every matter. We work for people – not clients. We have a ‘care factor’. We are a small firm because we believe in these values and want to keep delivering on them. Our clients value the partnership we have with them, the level of service they get and the price they pay for it. Our firm provides high quality and accessible commercial legal services. Our experience and expertise enables us to provide focused legal advice and representation on terms that create value for our clients. 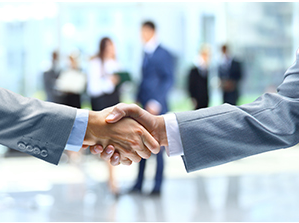 Our team is dedicated to our clients; we support and help them to achieve their commercial and corporate goals. We also think it is important to support the community we operate in and provide pro bono legal services to a number of charities and non-government organisations. Roe Legal Services takes its name from John Septimus Roe the first Surveyor-General of Western Australia. He is a person closely connected to Western Australia’s colonial history who has Aboriginal and non-Aboriginal descendants throughout the State. Roe Legal Services’ foundation clients were the Martidja Banjima People from the Central Pilbara and the Harris family in the South West. We are committed to reconciliation and providing services that are accessible to Aboriginal people and corporations.